Helical space saver stair for a London apartment. 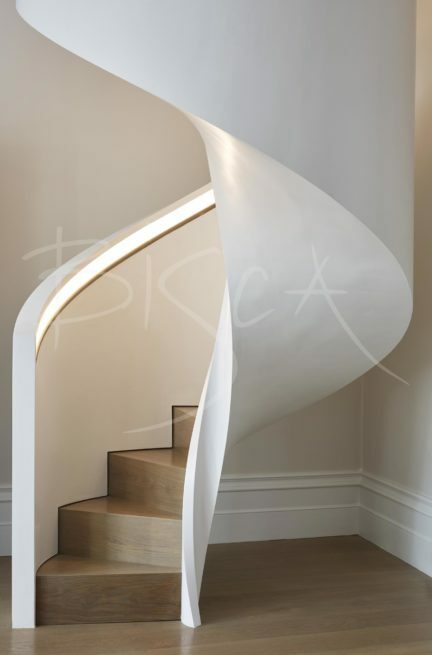 A space saver stair in the form of a helical is a great alternative to the traditional spiral. Our clients own the flat above them and needed to join the two, thus doubling their living area. 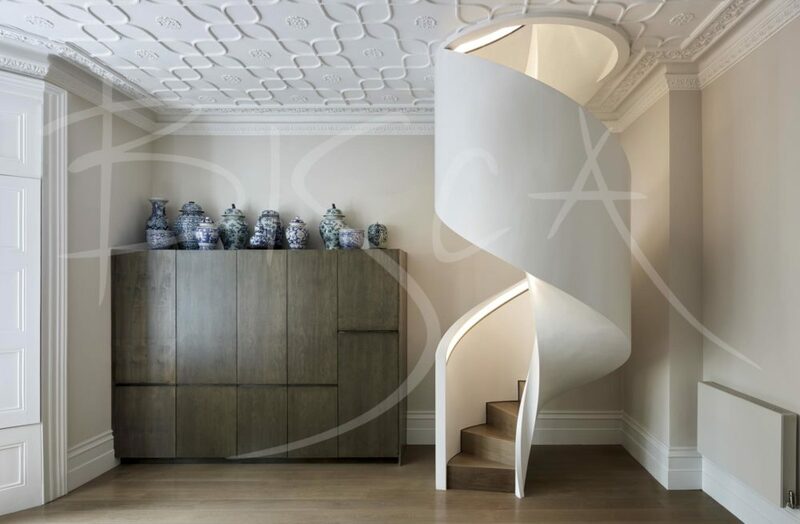 As with a lot of London properties, space is at a premium and spiral looked to be the obvious solution. 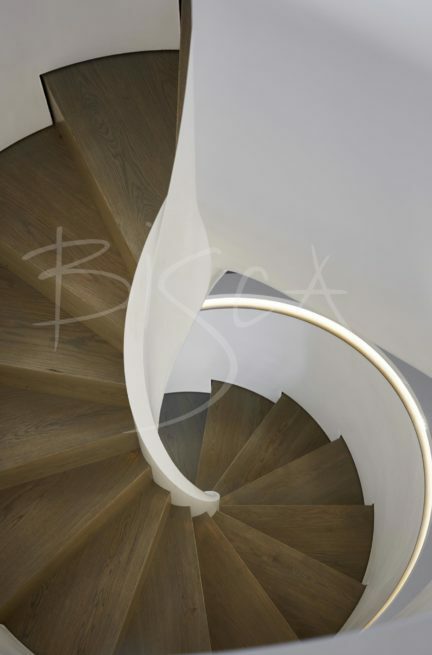 Inspired by a staircase they saw during a visit to Italy, we created a slim helical staircase of oak treads and risers with a sculptural soffit. The client wanted it to appear as a work of art in a corner of the room. Key elements of the design are width of the stair and feature lighting. A recessed oak handrail is highlighted by LED lighting, providing a feature upstairs and down. The recessed rail also increases the usable width of the staircase. The property itself has high, ornate ceilings. 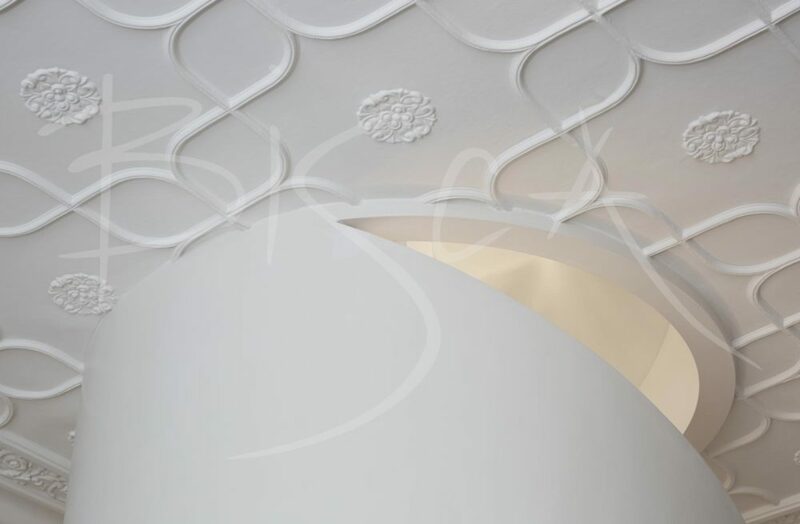 Our design punches through this, retaining and preserving much of the traditional detailing. 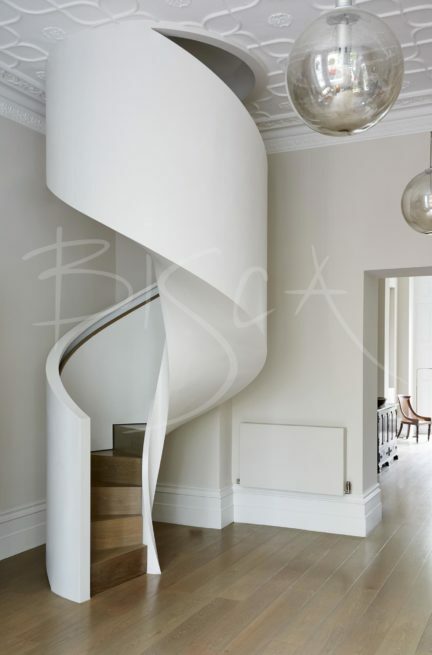 Consider a space saver staircase like this helical as an alternative to spiral stairs. For more information on this staircase please mention 4860.